The following guest post is courtesy of the the ATC, written by Jim Fetig. The facts are indisputable. 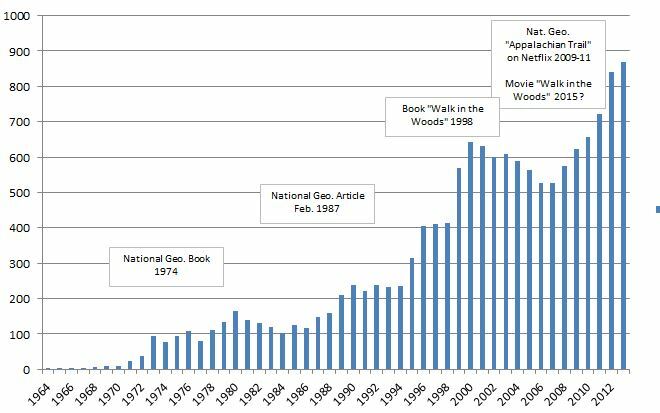 The number of thru-hikers has been increasing for decades. Mass media events such as popular books, television programs or videos have historically driven the numbers higher. We know that the Trail has a problem accommodating everyone if they all show up at once. Worse than that, there’s a problem even if they don’t. During hiking season, shelter sites near the starting point have limited capacity. Once that capacity is exceeded, the crowding quickly damages the quality of the hikers’ experience, not to mention the destruction of vegetation, overload of the privies and the wear and tear on the trail itself. This damage should be limited to the extent possible. Several seasons ago, the Appalachian Trail Conservancy (ATC) formed a task force to find the best courses of action. While several ideas are in the works, promoting nontraditional hikes and voluntary registration are the first ones out the door. Voluntary registration is to let hikers know when to expect crowds so they can avoid them if desired. Everyone is free to start their hike when they want, but with voluntary registration they’ll know what to expect. In that way, no one should be surprised if there’s no room in the shelter, all the tent spaces are filled, and you’re standing in line for the privy. To register, hikers should go to www.appalachiantrail.org/thruhikeregistration. Check out the calendar, and if facilities are over capacity during a certain date, you will see an “X,” meaning that overcrowded conditions will exist. This allows you to find an open date and register your hike. Registering your hike can not only reduce your stress from day one, it also can help you pay it forward. The data generated from the voluntary registration process will help the ATC determine what extra resources in the form of ridgerunners, caretakers and Trail maintainers may be needed. We all want those who follow us to have an equal chance to have a hike as good as our own. Everyone knows that the “trail provides.” Sometimes it just needs a little help. Jim’s mission in retirement is to protect and preserve the Appalachian Trail. His 2014 thru hike proved that the AT needs a lot of TLC. He’s a trail crew volunteer and maintains a 1.3 mile section of the AT in Shenandoah National Park. You can find him volunteering on Tuesdays in ATC’s Harpers Ferry Visitor Center. He’ll also be an ATC volunteer ambassador (similar to a ridgerunner) in Georgia during the month of March. Good article. I didn’t even know about registering. Good thing we started our 2013 thru-hike in January though, after seeing those charts. Registration is not the law, you do not need a permit to thru-hike. Never have, never will. It’s in the law that made the trail. National Trails Act. 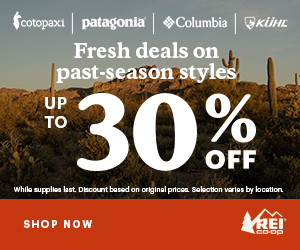 Do we need to register for section hiking? my friend and i plan to hike the a p southbound starting june 15. he s 66 and i am 65. 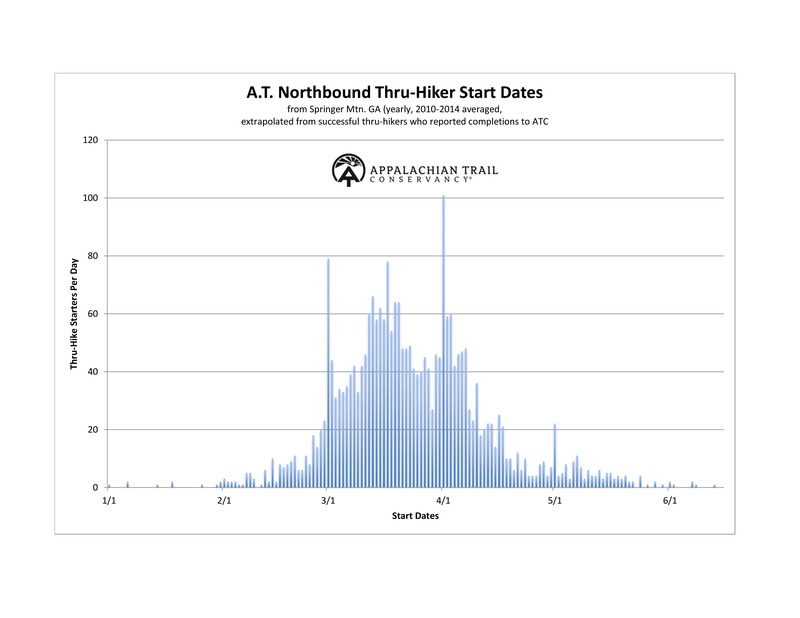 Do you have any estimate of the number of thru hikers who do not register with ATC? Jim is right on point; the ATC voluntary thru hiker registration system is a key strategy for allowing the growing number of long distance hikers to have a high quality experience and escape the worst of the crowds on the Trail. We are also this year providing a similar service for hikers to register where they plan to stay overnight along the southern end of the Trail. I just want to live!! !